Note, some, but not all, links in this Wiki are temporarily not working or pointing to the wrong place, this will be sorted within the next few days. This thread gives the current catering options for the Concorde Room (CCR), which is airside by South Security. It also gives the menu used in the First Dining Room in LHR T3 after 18:30 hrs for First passengers. This lounge is open to passengers flying BA on a First ticket or Concorde card holders. The catering supplier is BaxterStorey, who took over the contract on 2 May 2013. The current catering options in the LHR CCR can be found in the first post in the thread, or you can click here. Concorde Dining Room IAD: menus and food options - current menu is the same as JFK CCR, see link above for menu from April 2015. I misses CCR yesterday because of delays but am there tomorrow evening. I shall happily take 2 starters and 2 mains for the team and take pics. Anything in particular we need pics of? Seared salmon and mango mousse from the dining menu, and if you have room the salmon bagel from the lounge menu please. 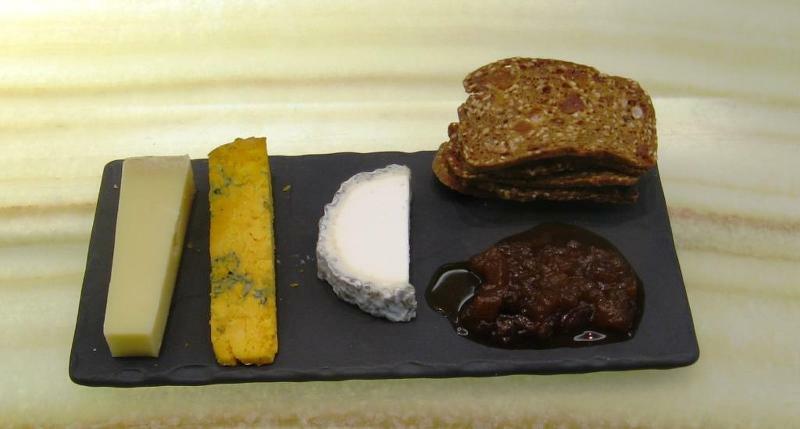 Also the new cheese selection would be good but I don't know if you are a cheese fan. chris1979, I'll do the cheese, I'm doing JTR-NCL so I may see you in there later today. good job I just checked if my flight is on time on ba.com (rather than the app) - BCN departs from T3 rather than T5 so no CCR dining for me tonight. I shall do pics of anything not yet photographed next week instead then. happy flying and enjoy the cheese CWS. Lincolnshire Poacher is on the left. If this is my final post, you will all know why. Lincolnshire Poacher is on the left. You were sitting at the bar? It's Thursday, you were with LurkerWilf? You were at the bar? It's Thursday, you were with LurkerWilf? You get my vote on the fruity crackers! Brand new, high spec, and expensive looking coffee machine installed yesterday in CCR. It produces a better quality and slightly hotter drink than the previous machine. 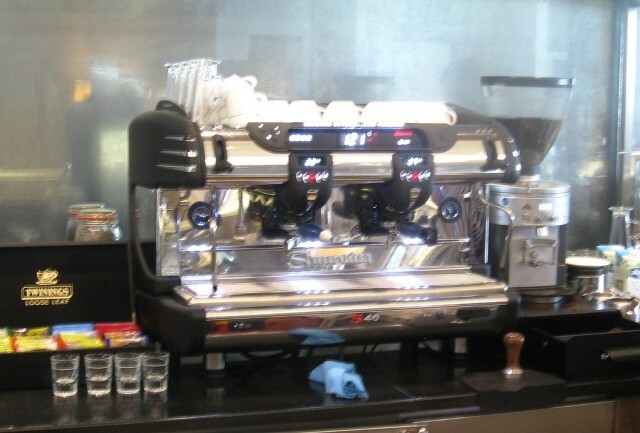 Edit: It costs over £4,000, it's a Suprema 40 made by La Spaziale. Looks like a pretty swanky bit of kit to me. Although not self service, I'm hoping it has been set up with a manual measure hot water function. I look forward to trying the coffee on Monday. I shall (hopefully!!!) be there with the Lady Tobias and my old man on Saturday afternoon. They both enjoy a nice cup of coffee. If any of the CCR regulars are in Saturday, let me me know, it would be nice to share a cup. It seems like an age since I was last in there. Has my espresso martini consumption necessitated a new machine? Good! The previous one had been out of order for several days and they had to get coffee from the kitchen which wasn't nice. Look forward to trying the new version!